In Helaman 5, Nephi and Lehi, the sons of Helaman, decided that they needed to preach full time to their people. Nephi was the chief judge over the land, but he had become so weary of the iniquity of his people that “he yielded up the judgment-seat, and took it upon him to preach the word of God all the remainder of his days, and his brother Lehi also” (Helaman 5:4). 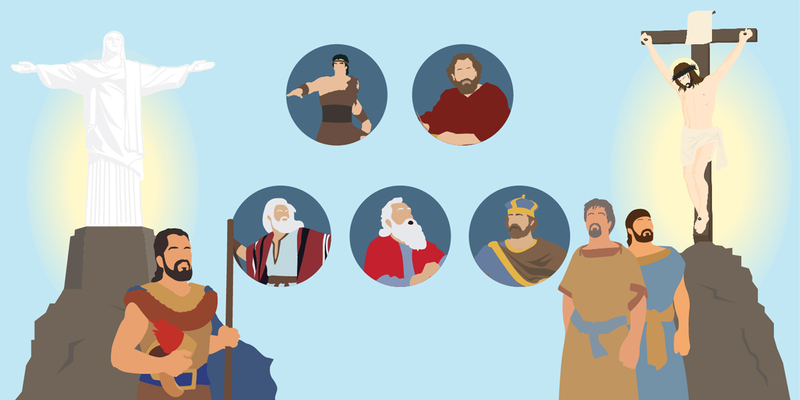 Figure 2 Doctrinal Mastery Infographic of Helaman 5:12 by Book of Mormon Central. During these difficult times in which “the laws had become corrupt,” the Nephite people were shifting their values, “insomuch that they could not be governed by the law nor justice” (Helaman 5:2–3). In order to remain firm and steadfast, the brothers Nephi and Lehi recalled some important advice that their father, Helaman, had wanted them to remember (Helaman 5:6). The last and most important thing Helaman asked his sons to remember was “that it is upon the rock of our Redeemer, who is Christ, the Son of God, that ye must build your foundation” (Helaman 5:12). The idea that Jesus Christ, the Son of God, can be called “the Rock” and provide refuge from the storm can be found in the Old Testament, where Jehovah is often referred to in this way (Deuteronomy 32:4; Psalms 71:3; 94:22; Isaiah 25:4). The first Nephi and his brother, Jacob, also frequently called Christ a “rock” or “stone.” Jacob similarly taught that Christ was “the stone” on which we “might build a safe foundation” and lamented that the Jews had “rejected this sure foundation” (Jacob 4:15–17). In this chapter, Jacob was likely making a powerful and beautiful play on words when he declared that the “Only Begotten Son” would be the “stone” that was rejected (Jacob 4:11, 15). The Hebrew word for son is ben, while the Hebrew word for stone is the similar-sounding eben. When Jacob referred to the stone, he was, at the same time, referring to the Son of God, Jesus Christ. Helaman 5:12 teaches us that Helaman cared enough to teach his sons what they needed to remember in order to be effective missionaries. The fact that Helaman asks his sons to “remember” so many times is especially significant when we recognize that in biblical and Book of Mormon times, to remember also meant to commit yourself to doing something about what you’ve learned. If you remembered the commandments, that meant that you were keeping them. When we keep this perspective in mind, we see that when Helaman asked to remember a principle, it was actually an invitation to follow and obey. The things that Helaman asked his sons to remember are all things that would help them to stand firm in the teachings of the gospel and in their faith in Jesus Christ. He especially wanted them to be sure to build their foundation, or center their lives, on the Rock, who is Christ. Ancient prophets compared God to a rock in order to teach how He can be like a place of safety and refuge — someone to go to when we are needing help and protection. When Helaman compared Satan’s dangerous tactics to a terrible storm, he was likely trying to help Nephi and Lehi remember the many scriptures that describe Jehovah as a refuge from the storm. Jacob’s play on the words “son” and “stone” may point to another reason why ancient prophets like Jacob and Helaman compared Christ to a rock or stone in the first place: the very word “stone/rock” reminded them of the Son of God. This helps us understand better many similar scriptures, like the one in which King David cries out: “The Lord liveth; and blessed be my rock; and exalted be the God of the rock of my salvation” (2 Samuel 22:47). Jacob, Helaman, and others wanted all to remember that the Only Begotten Son was the great “stone” upon which we can build our foundation. Jacob knew that the people in Jerusalem, from whom his family had recently come, had forgotten to make Christ their “safe foundation.” This “blindness” caused them to “stumble” (Jacob 4:14–15). When we remember that our Savior is someone that we can depend on and trust to keep us safe through all of life’s challenges, then we can act with the faith we need to press forward. Don’t let the whirlwinds drag you down. … Build more firmly your foundation upon the rock of your Redeemer. … Embrace more deeply His love, His mercy and grace, and the powerful gifts of His Atonement. As you do, I promise you that you will see the whirlwinds for what they are—tests, temptations, distractions, or challenges to help you grow. And as you live righteously year after year, I assure you that your experiences will confirm to you again and again that Jesus is the Christ. The spiritual rock under your feet will be solid and secure. Weatherford T. Clayton, “Rock of Our Redeemer,” BYU Speeches (March 14, 2017), accessed online at speeches.byu.edu. Neil L. Andersen, “Spiritual Whirlwinds,” Ensign, May 2014, 18–21. See Joseph Fielding McConkie and Robert L. Millet, Doctrinal Commentary on the Book of Mormon, 4 vols. (Salt Lake City, UT: Bookcraft, 1987–1992), 3:353. Brant A. Gardner, Second Witness: Analytical and Contextual Commentary on the Book of Mormon, 6 vols. (Salt Lake City, UT: Greg Kofford Books, 2007), 5:85. Remember occurs 6 times in Helaman 5:6; 4 times in Helaman 5:9; once in Helaman 5:10; and finally twice in Helaman 5:12. Yosef H. Yerushalmi, Zakhor: Jewish History and Jewish Memory, 2nd ed., (New York: Schocken Books, 1989), 107, as cited in Louis Midgley, “To Remember and Keep: On the Book of Mormon as an Ancient Book,” in The Disciple as Scholar: Essays on Scripture and the Ancient World in Honor of Richard Lloyd Anderson, ed. Stephen D. Ricks, Donald W. Parry, and Andrew H. Hedges (Provo, UT: FARMS, 2000), 95–137. For more on this topic, see also Louis Midgley, “The Ways of Remembrance,” in Rediscovering the Book of Mormon, ed. John L. Sorenson and Melvin J. Thorne (Salt Lake City and Provo, UT: Deseret Book and FARMS, 1991), 168–176; Louis Midgley, “‘O Man, Remember, and Perish Not’ (Mosiah 4:30),” in Reexploring the Book of Mormon, ed. John W. Welch (Salt Lake City and Provo, UT: Deseret Book and FARMS, 1992), 127–129. Compare Deuteronomy 5:12, where the commandment is given to “keep the sabbath,” and in Exodus 20:8 Israel is required to “remember the sabbath day, to keep it holy.” Similarly, Jarom 1:5 and Mosiah 18:23 have the expression “to keep,” and Mosiah 13:16–19 has “to remember.” See Midgley, “To Remember and Keep,” 117–118. For more on this, see Book of Mormon Central, “Why Did Helaman Compare Christ to a Rock? (Helaman 5:12),” KnoWhy 176 (August 30, 2016). See 1 Nephi 15:15; 2 Nephi 4:35; 2 Nephi 18:14, quoting Isaiah 8:14; 2 Nephi 9:45; Jacob 4:15–17; 7:25). 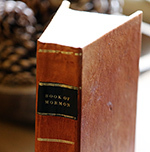 See Book of Mormon Central, “Why Did Jacob Share the Allegory of the Olive Tree? (Jacob 4:17),” KnoWhy 66 (March 30, 2016). Neil L. Andersen, “Spiritual Whirlwinds,” Ensign, May 2014, 21.